Pythagoras is when you have a triangle and you know what the length of 2 of the sides. You then need to find out what the other side is. 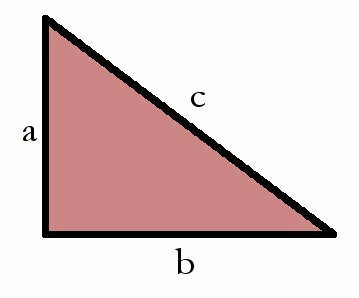 The triangle is ALWAYS a right angle triangle and the side opposite the right angle is called the Hypotenuse. When working out the other side you normaly split the triangle into sections like above.